TI’s LPC Speech Synthsesis: the Next Generation is a Synthesizer Module « Adafruit Industries – Makers, hackers, artists, designers and engineers! Hey folks, Crow here. My longtime friend and sometimes partner in musical electronics engineering Paul Schreiber has an interesting bit of hardware arriving soon. 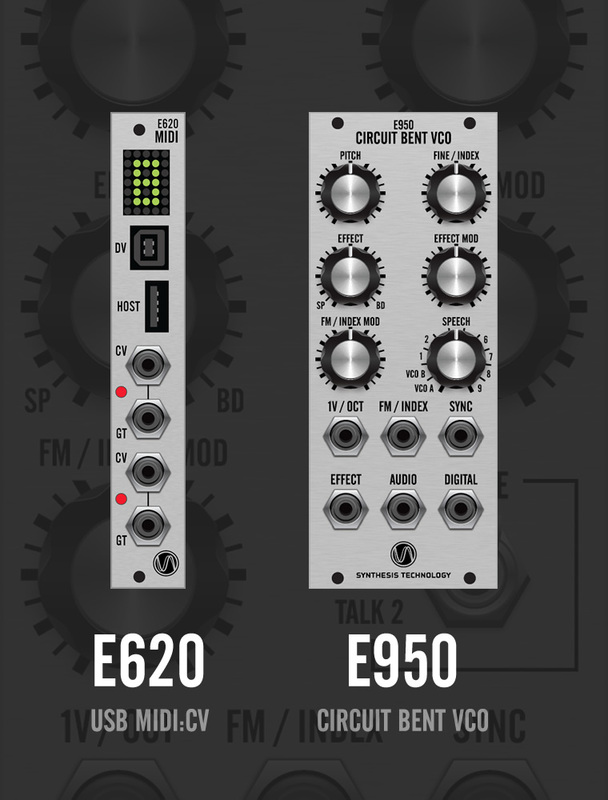 The “Synthesis Technology E950 Circuit Bent VCO” is is an STM32-based digital oscillator that uses fully-licensed LPC speech technology as developed by Texas Instruments in the 1980s for the “Speak & Spell” line of educational toys as well as industrial and military synthetic voice applications. Of particular interest is the path the licensing took: Paul was one of the developers for TI’s LPC technology in the 1980s, and so he was “in their system” as patents and licensing contracts go. He called up TI to ask if he could essentially license his own work, and with a few sign-offs and bit of money the technology was made available to him. Thus we have this interesting toy conveniently showing up around Christmas time. Of course every nifty product pretty much demands a nifty demo, and musician John Rice delivers. Be sure to hang in there for the payoff at the end. Lastly, if folks want to hear the tall tales of one who has been in engineering for 40 years, click and run it like a podcast while doing CAD work, etc. This is almost three hours long, but in there are items such as working for TI, working for Data General, working for RIM (Blackberry) and a lot of synthesizer stuff.